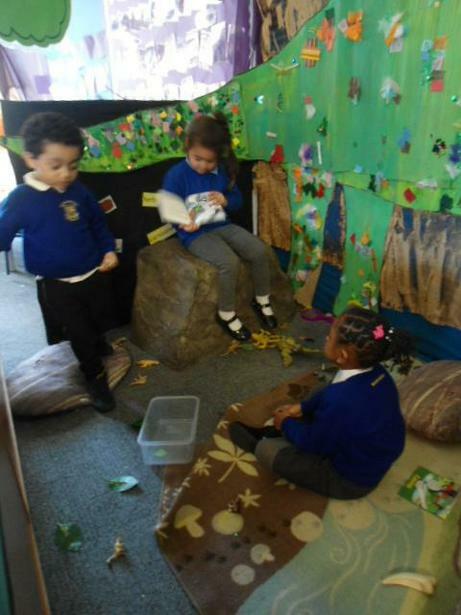 We are getting to know each other and making lots of new friends. 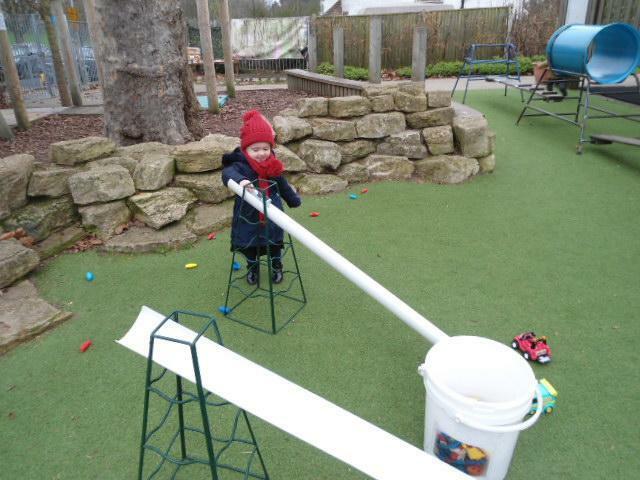 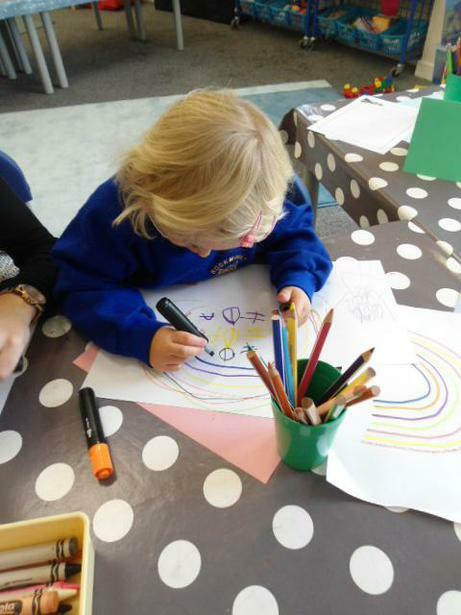 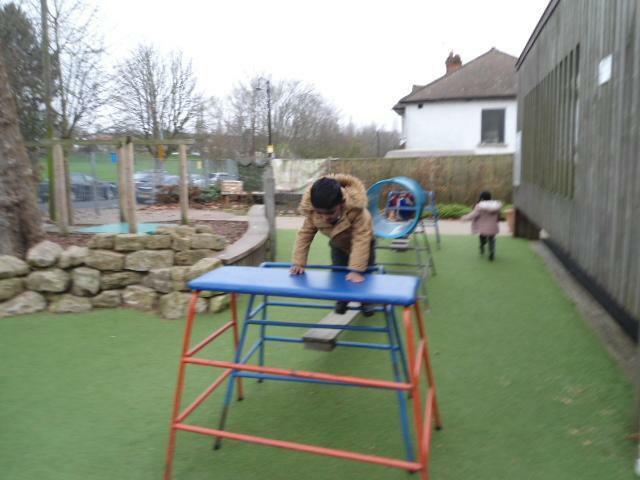 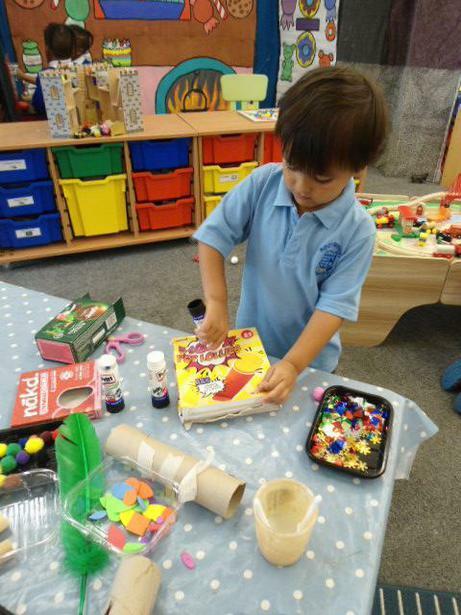 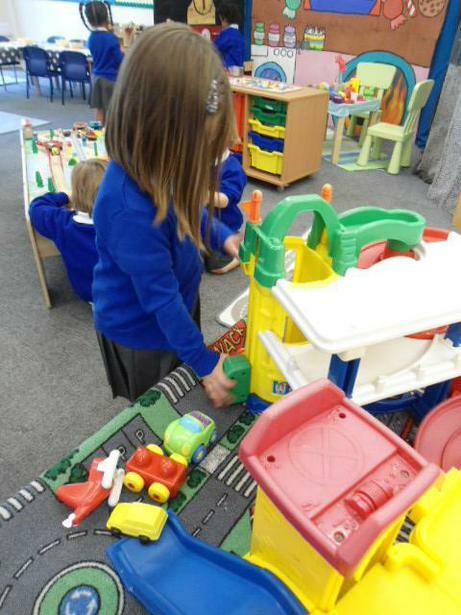 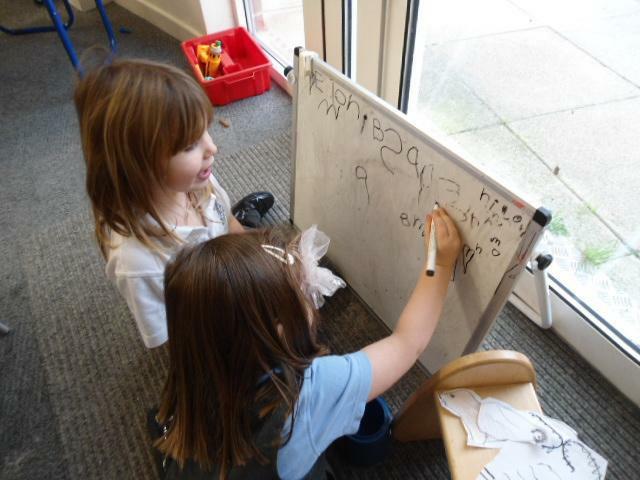 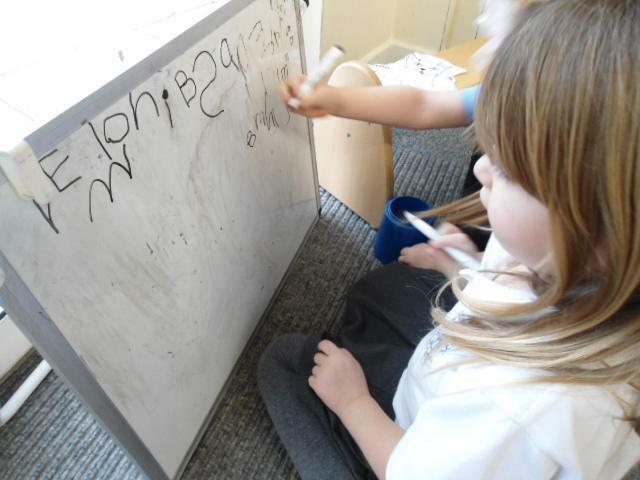 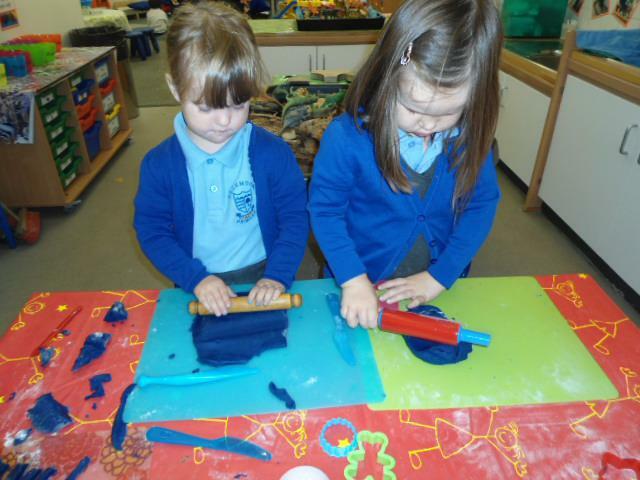 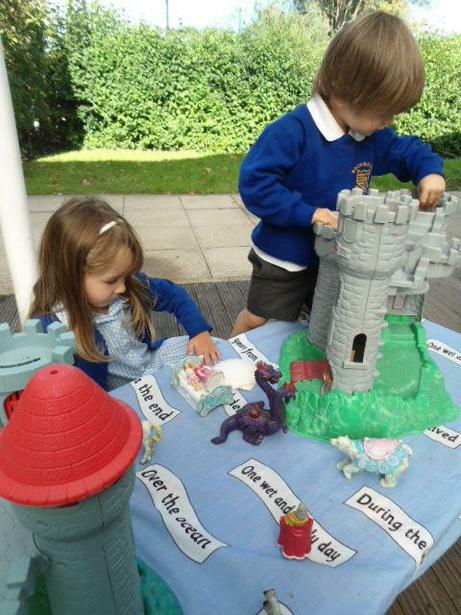 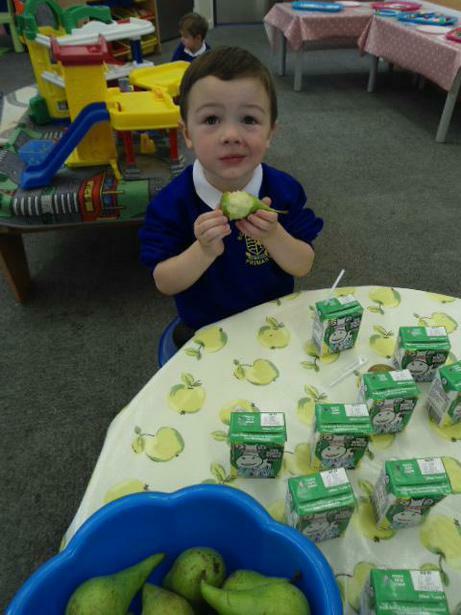 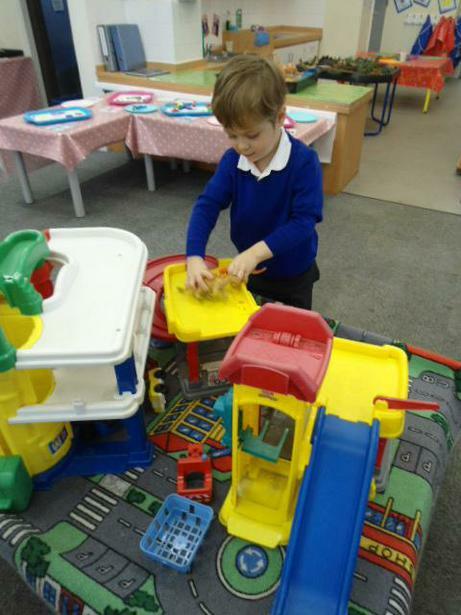 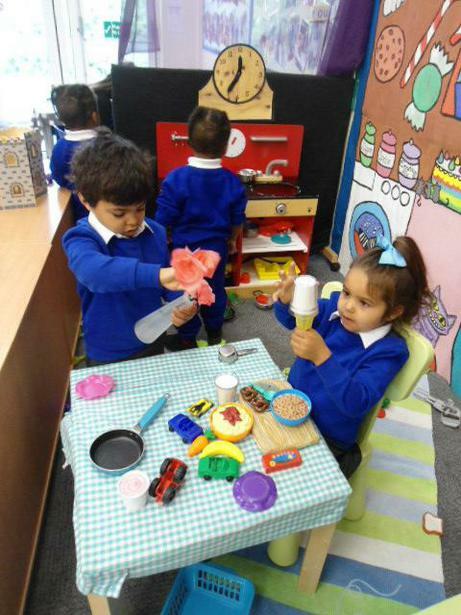 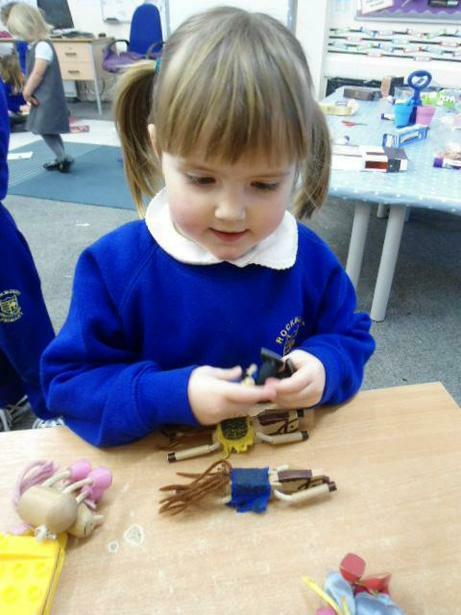 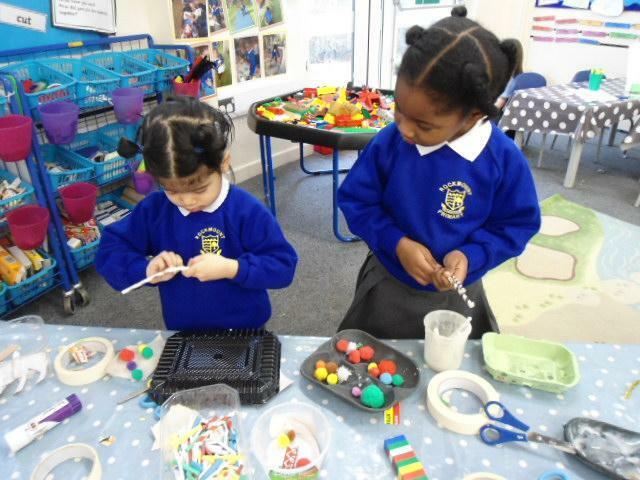 We have been exploring the different areas and activities in Silver Class and learning 'to have a go'. 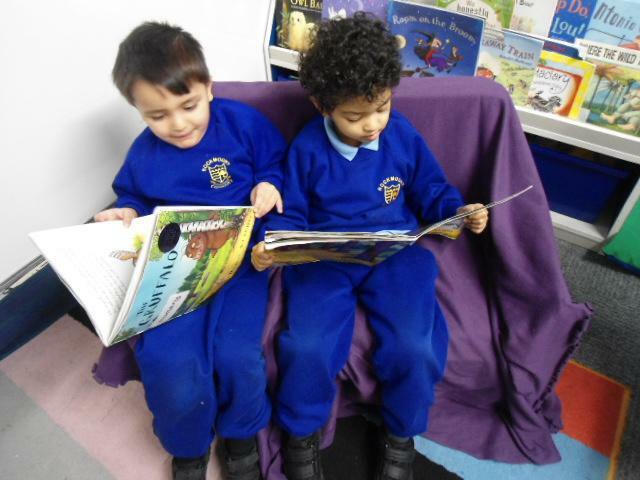 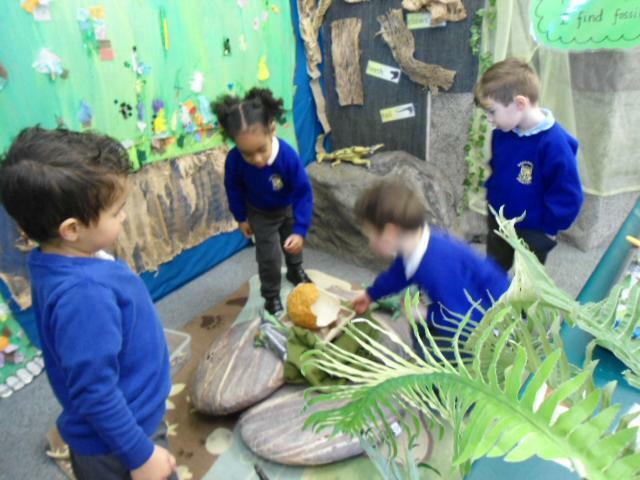 We are having an exciting new term in Silver Class. 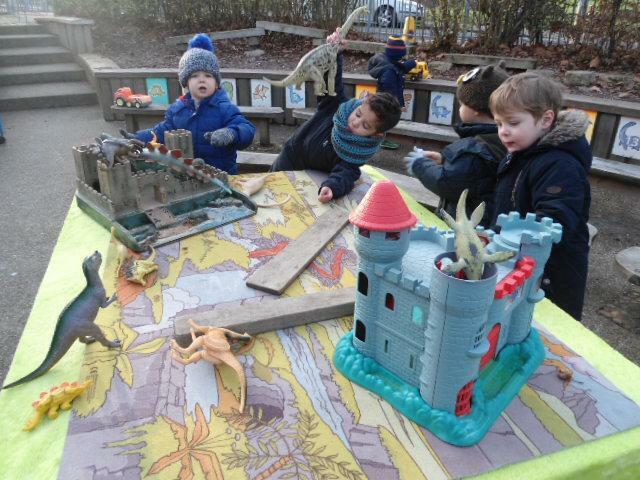 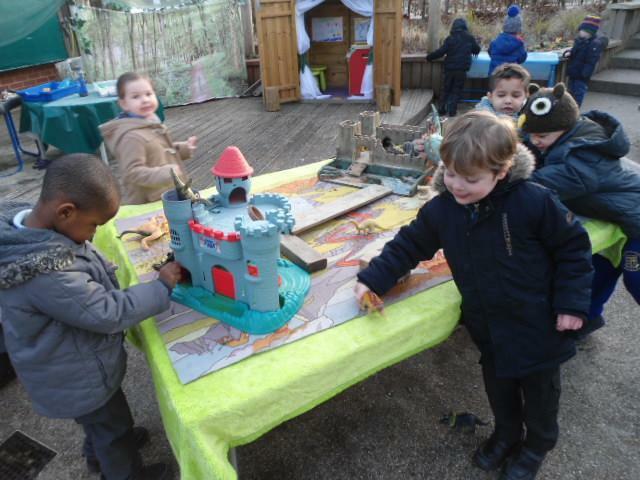 Some new friends have joined us and we are making them feel welcome by playing with them and sharing and taking turns. 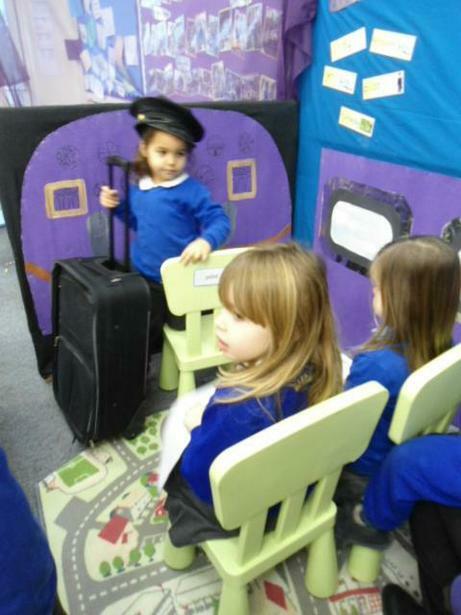 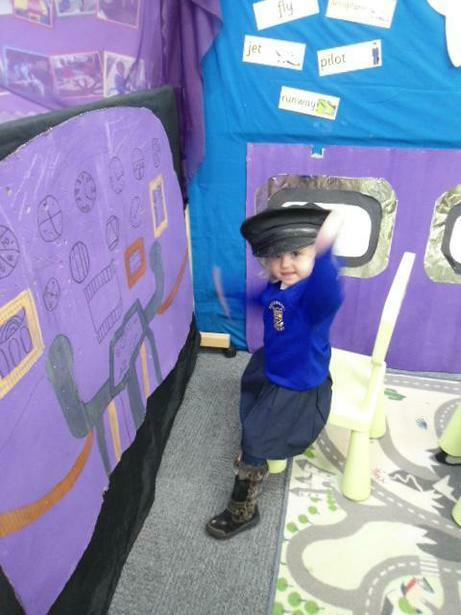 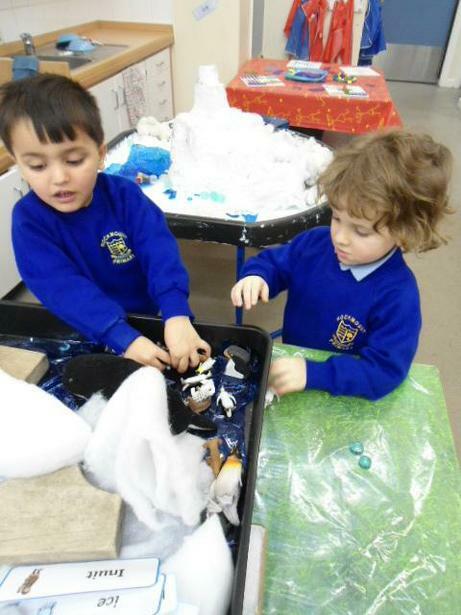 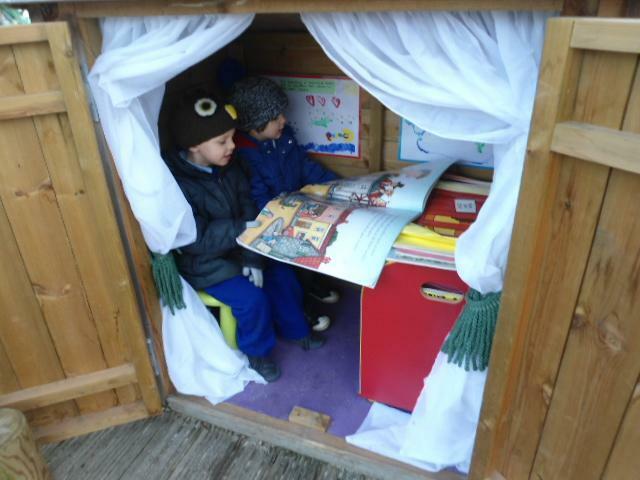 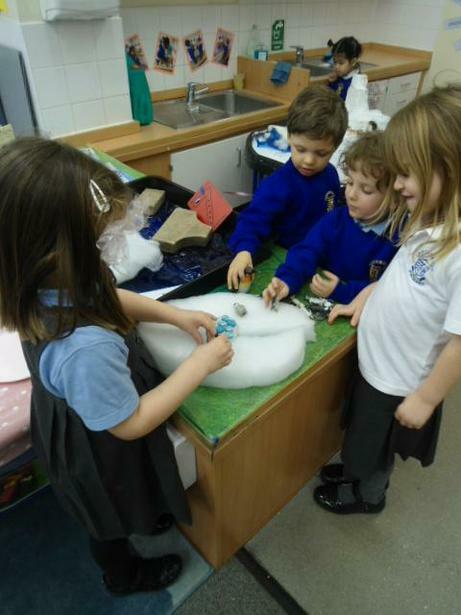 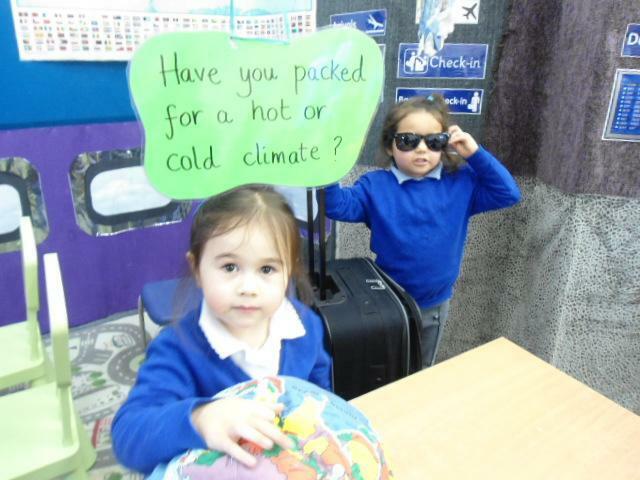 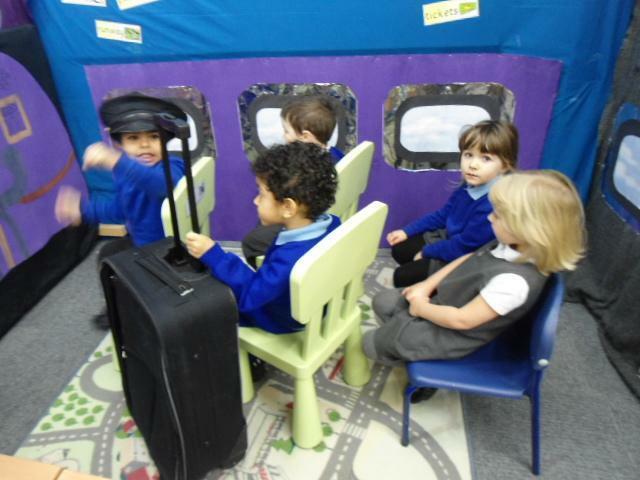 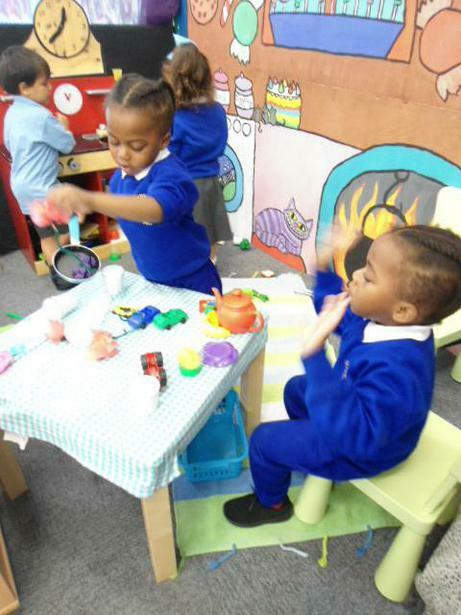 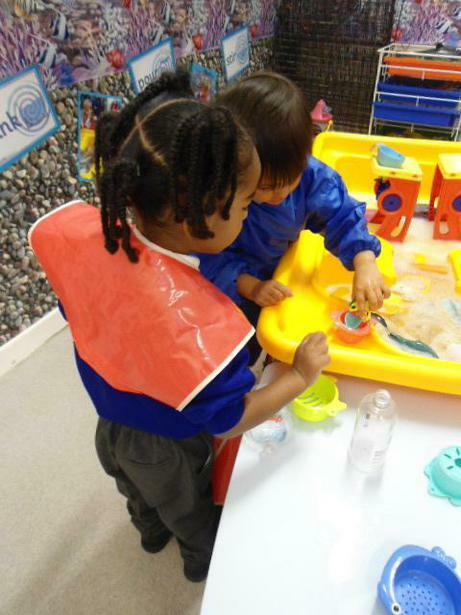 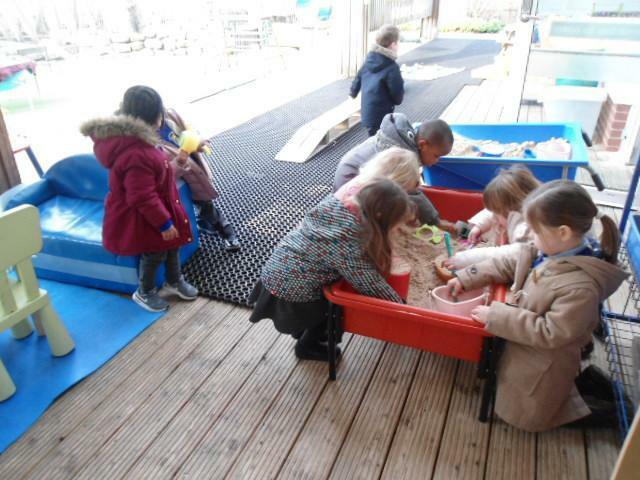 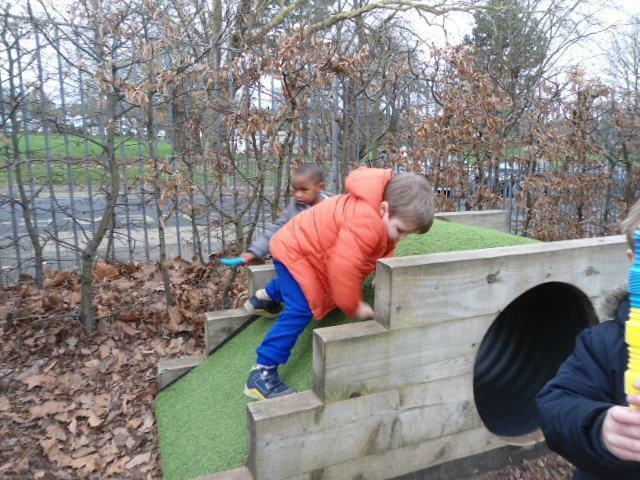 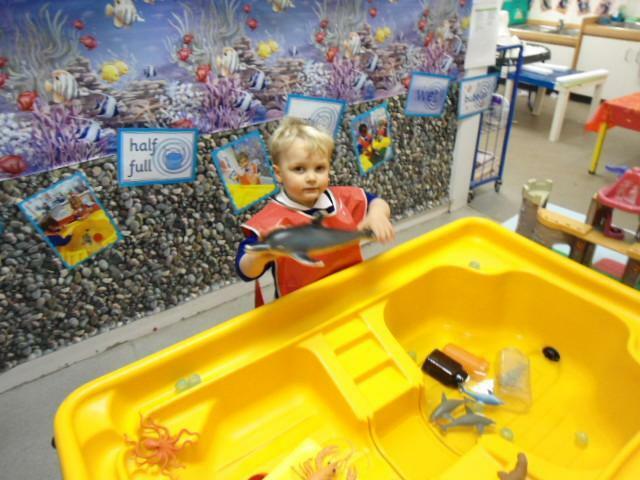 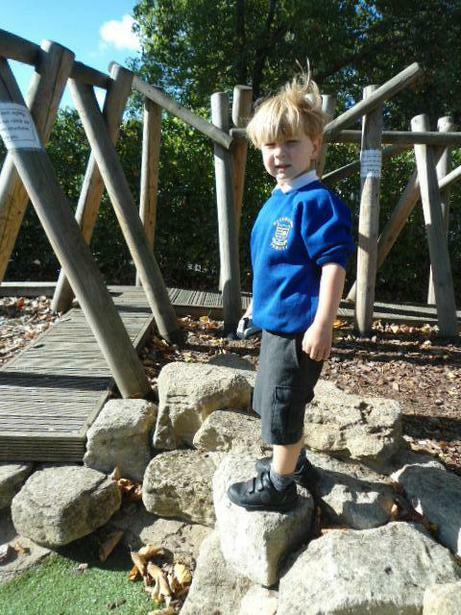 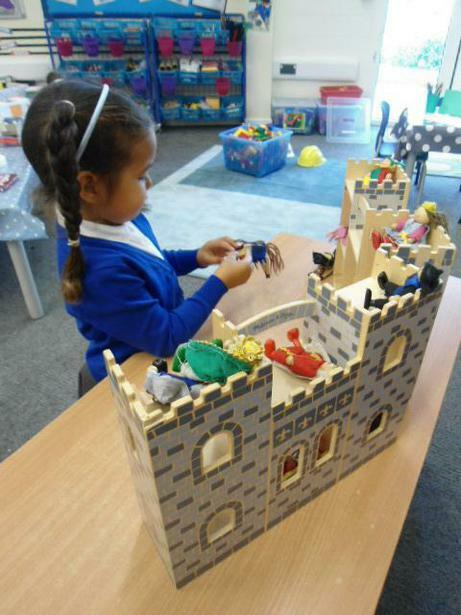 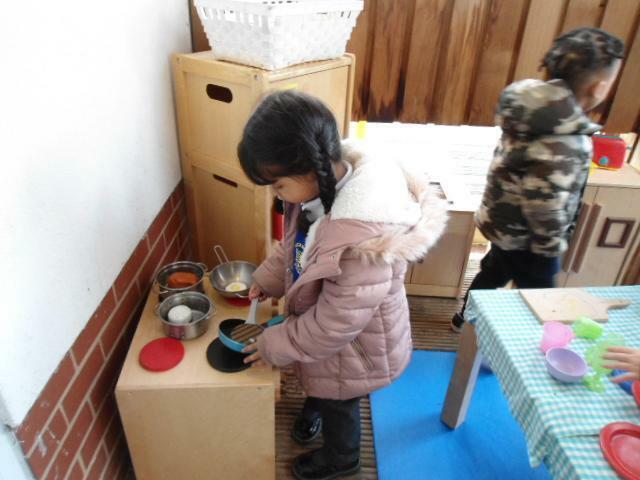 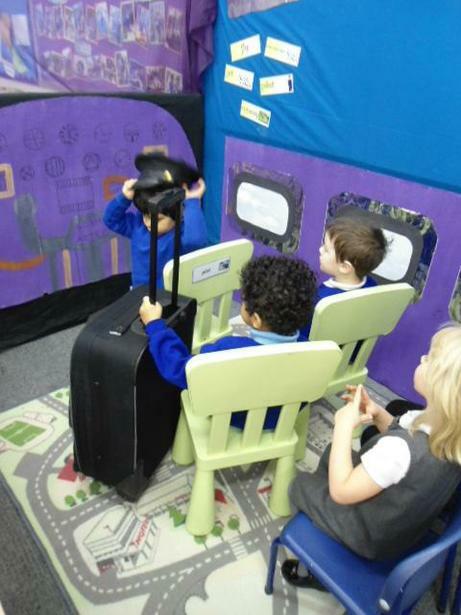 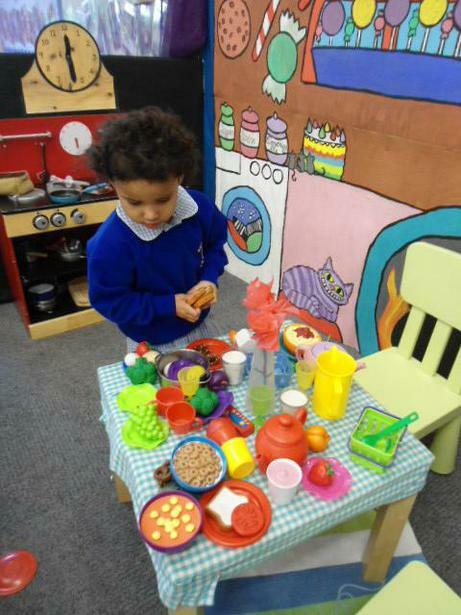 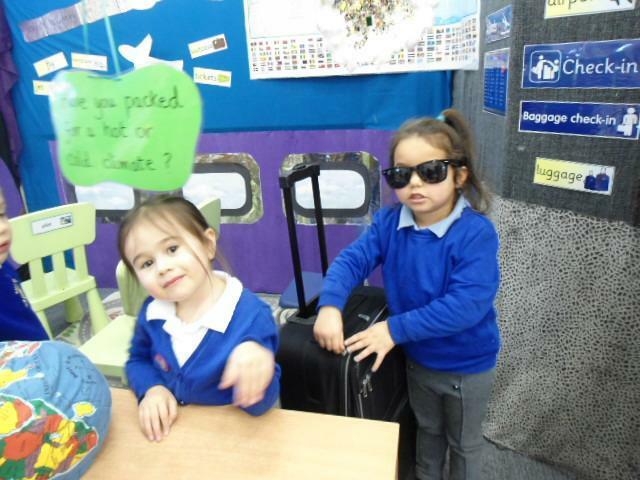 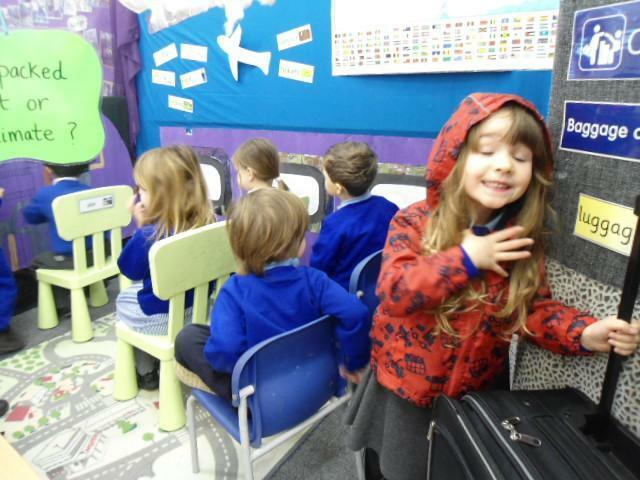 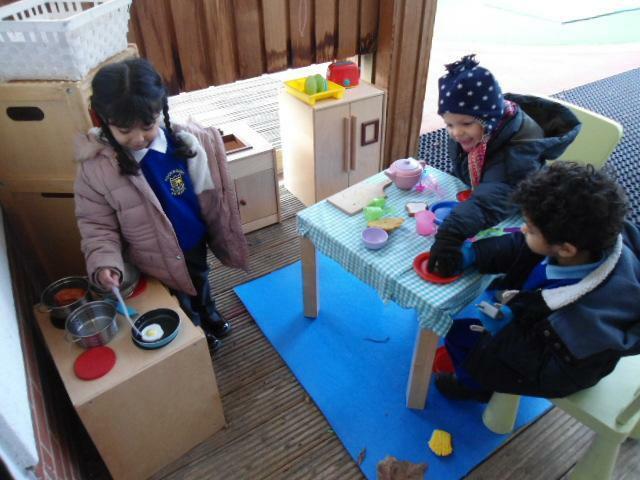 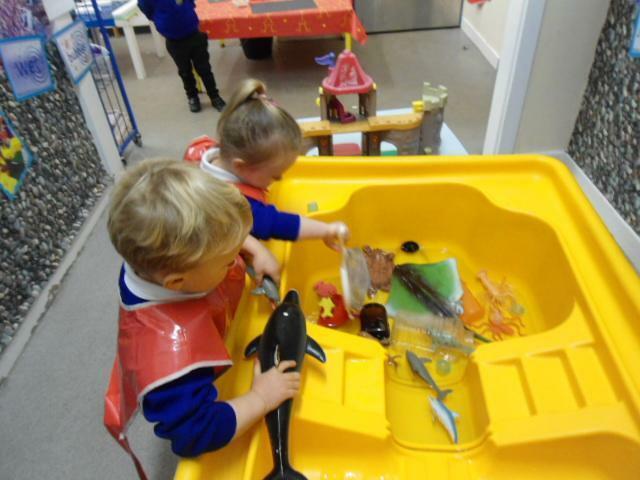 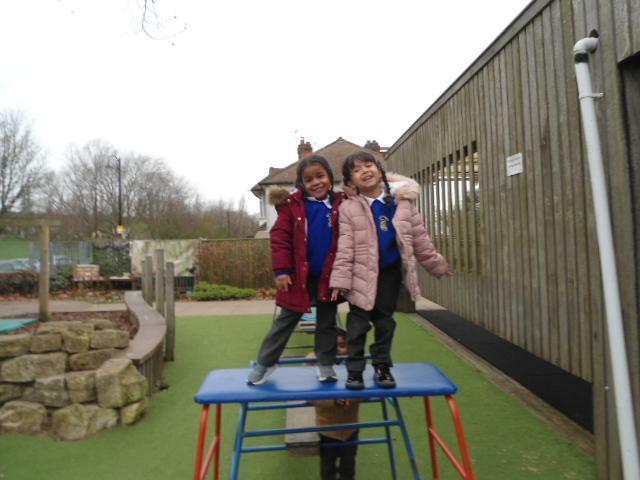 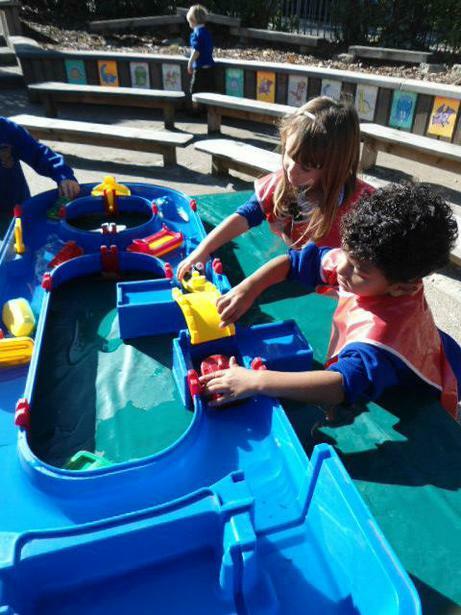 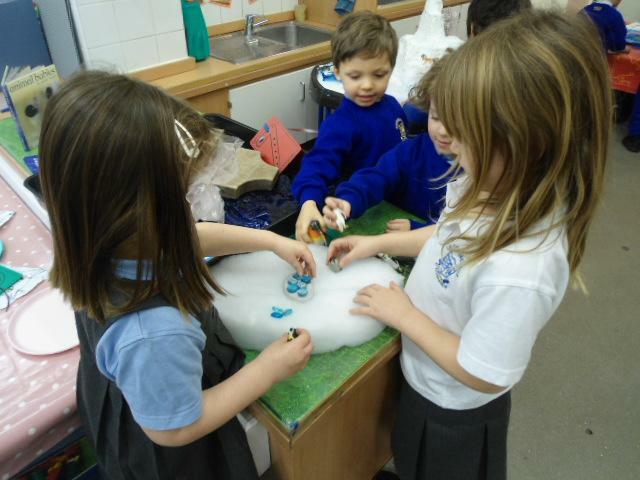 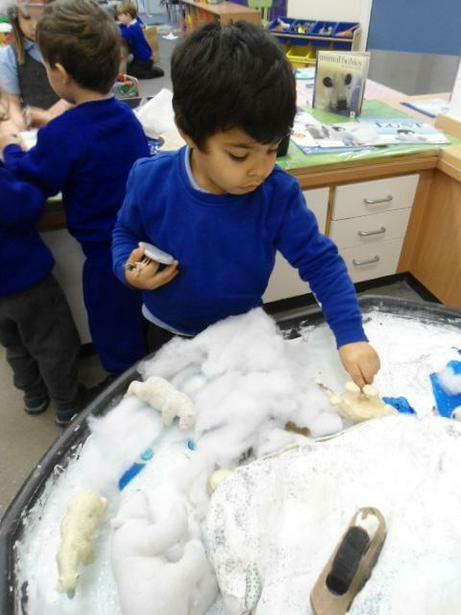 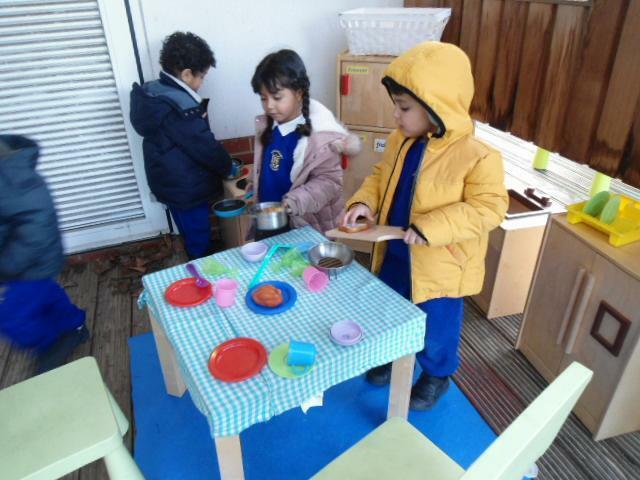 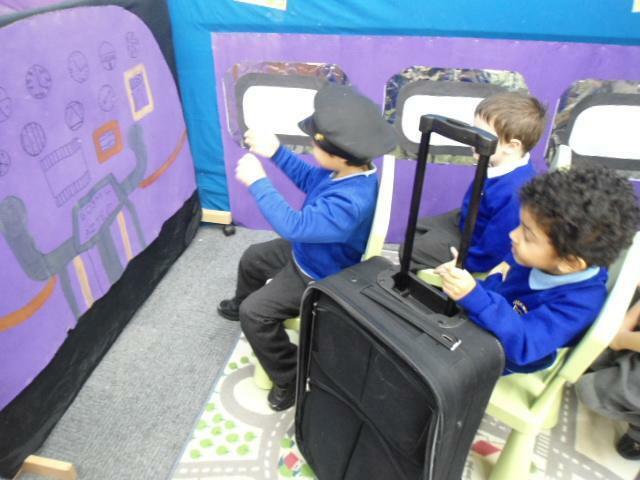 We have been flying around the world in our Silver Airlines role play area, learning about the Arctic and the Antarctic, as well as having a new kitchen to play with outside. 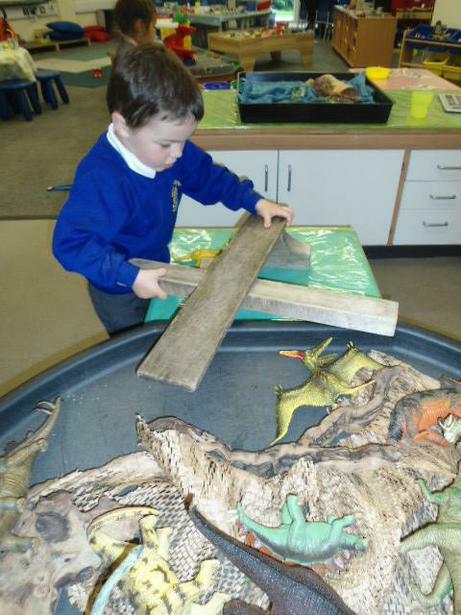 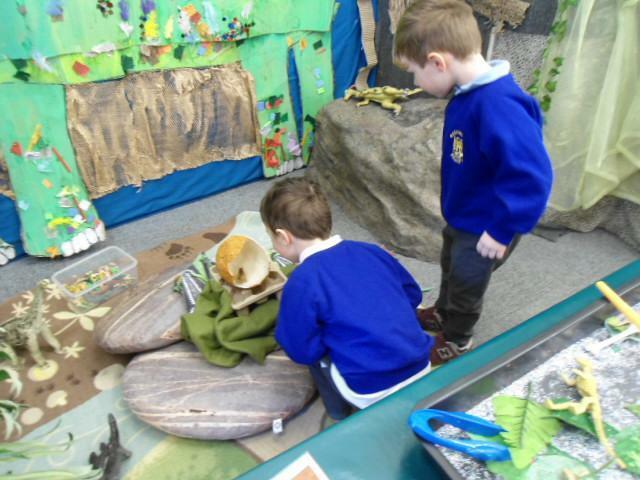 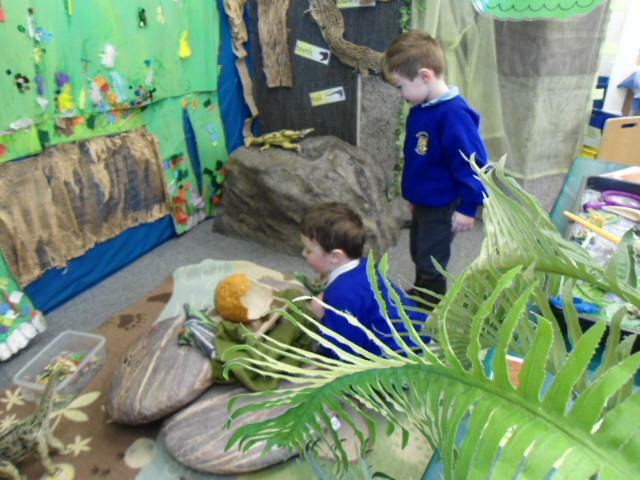 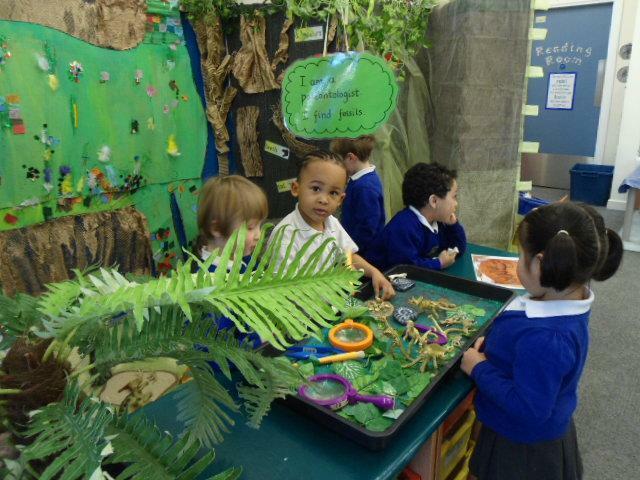 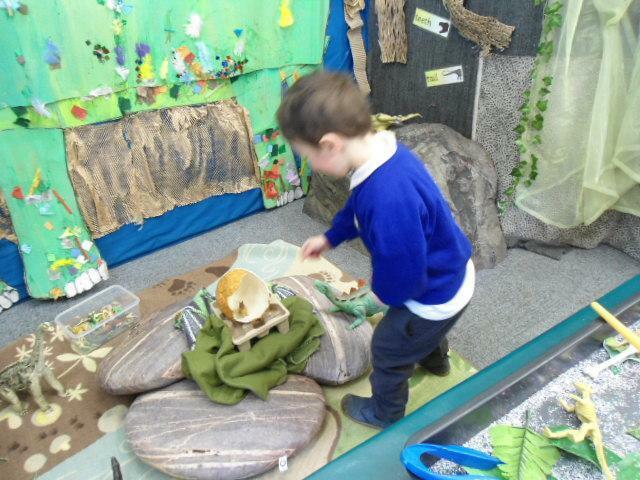 A dinosaur Den has appeared in our classroom. 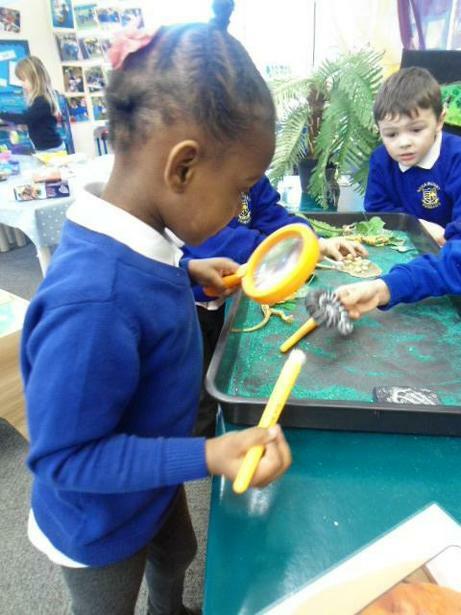 We have all become paleontologists, looking for fossils and dinosaur bones. 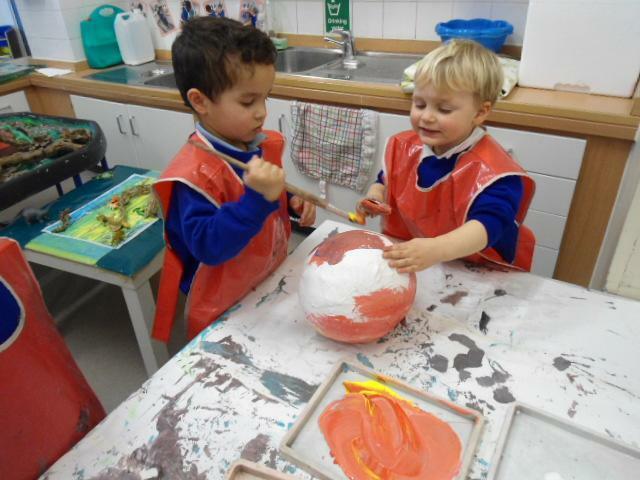 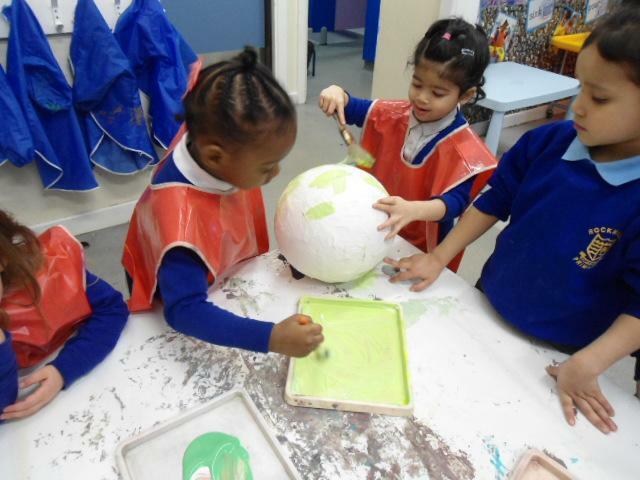 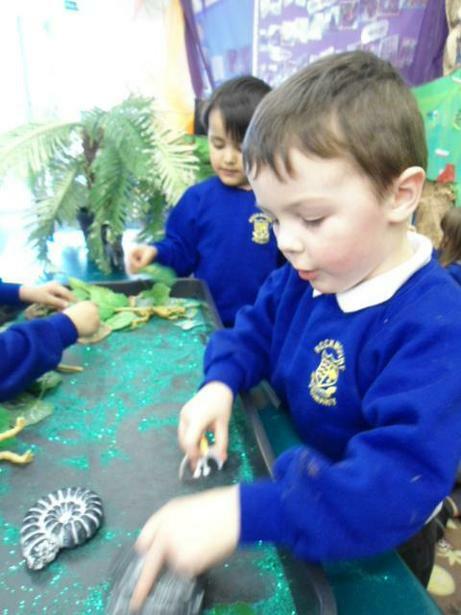 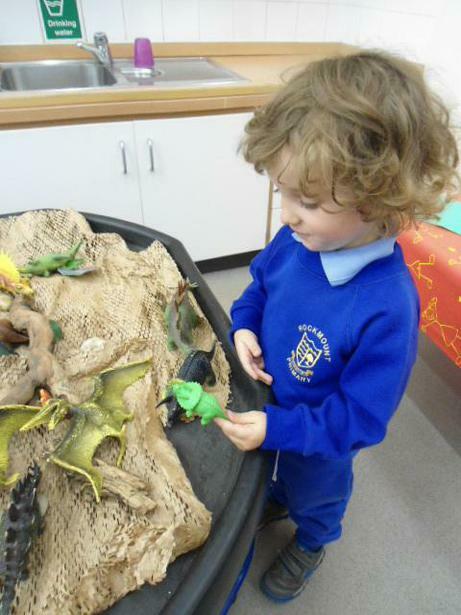 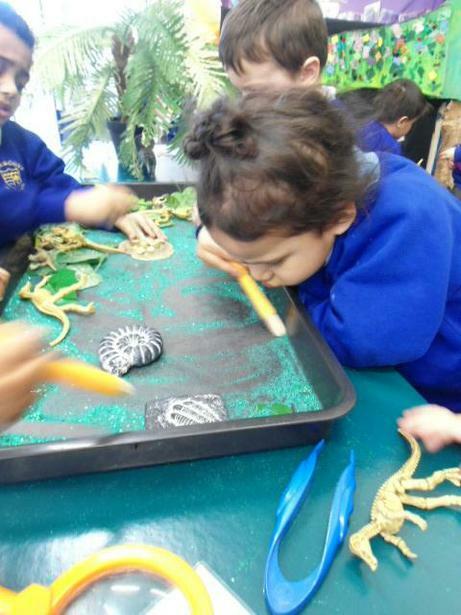 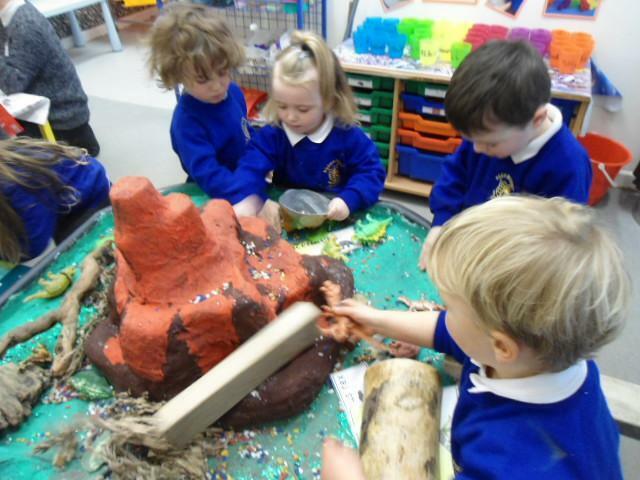 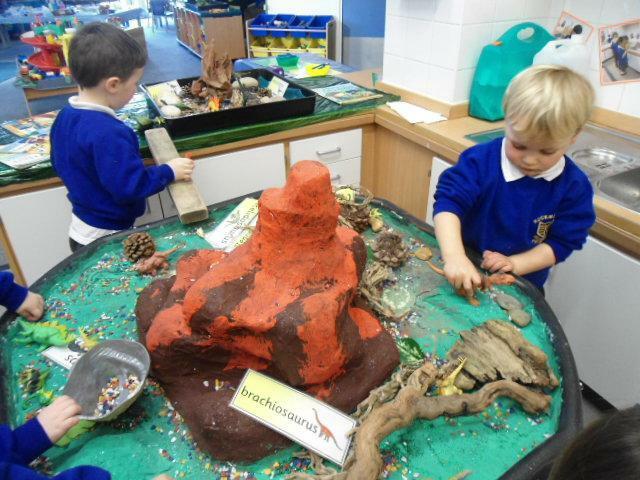 We have also been having fun learning about the dinosaurs in our volcano and making dinosaur eggs with modroc and then painting them.